Colvin Reginald de Silva, a multi-dimensional character was born 110 years ago in Ambalangoda on February 16. He had his preliminary education at St John’s College, Panadura, from where he entered Royal College, Colombo. Island’s number one criminal lawyer in 1940 and 50s, he vehemently opposed the Capital Punishment. He who defended murder suspects knew he could earn a higher fee only if the practice of hanging continued, but our humanist had other ideas. An Anglo-Australian Marxist revolutionary, Mark Anthony Bracegirdle sailed to Ceylon in 1936, where he learned the trade of tea-planting. Bracegirdle was working among the Tamil plantation labourers who were treated inhumanely; living in ‘line rooms’ which were worse than cattle sheds. Europeans dismissed him for taking the side of labour. On November 28, 1936, at a meeting in Colombo, the president of the LSSP, Dr Colvin R. de Silva, introduced him, saying: ‘This is the first time a white comrade has ever attended a party meeting. Comrades, you know we have a white comrade who wishes to address you.” Bracegirdle rose and claimed unrivalled knowledge of the misdeeds of the planters and promised shocking exposures. The ‘white’ planters prevailed upon the Governor, Sir Stubbs to deport him. Bracegirdle went into hiding while the LSSP started a movement to defend him. On May 5 same year in the State Council, N M Perera and Philip Gunawardena proposed a vote of censure on the Governor for having planned the deportation of Bracegirdle without the recommendation of the acting Home Minister. The vote was passed by 33 votes to 7. A writ of Habeas Corpus case was called before a Bench of Supreme Court judges. County’s leading civil lawyer then, H.V. Pereira, appeared with young Colvin for Bracegirdle; On May 18 order was made that he might not be deported for applying his right to free speech, and Bracegirdle was freed. Colvin was the Minister of Plantations and Constitutional Affairs in United Front coalition led by SLFP from 1970 to 75. He was removed, along with his colleagues Dr NM and Leslie Goonewardene in 1975 by the Prime Minister Sirima Bandaranaike under the instigation of right-wing led by Felix Dias and Maithreepala Senanayake. 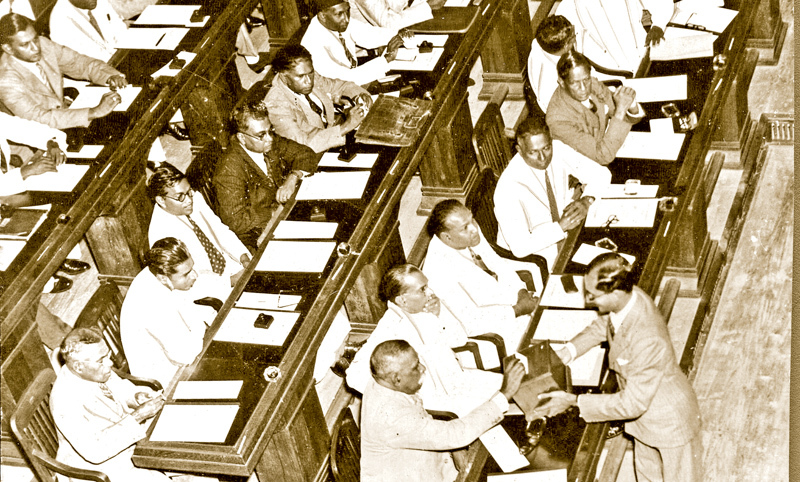 Colvin, who won comfortably the Wellawatte—Galkissa seat in seat in 1947, was canvassing in Dehiwala during 1952 Parliamentary election. It was in the immediate aftermath of Sathasivam wife murder case where he led the defense and won. One of the constituents, a lady resident down Auburn Side shut the door blaring, “If people like you exist, no wife will be safe in this country”. 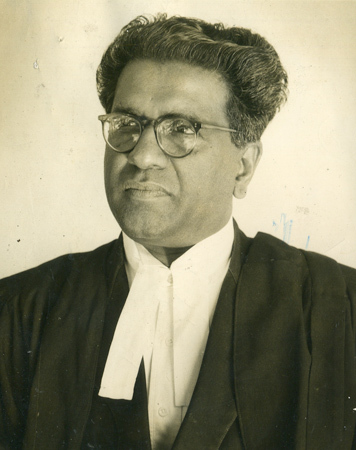 The witty man rejoined, “Madam that’s a judgment on your husbands.” He returned to his home base in Agalawatte and won it in 1965 and 1970, but lost along with all leftists in 1977: Colvin competed on principles as a revolutionary and he worked tirelessly for the benefit of masses until his demise on February 27, 1989. During WW II, he was jailed by the colonial government along with his colleagues, but they escaped from prison and became exiled in India, where, Colvin joined Indian Bolsheviks and continued to write Articles under the pseudonyms ‘Lily Roy’ and ‘Govindan’.